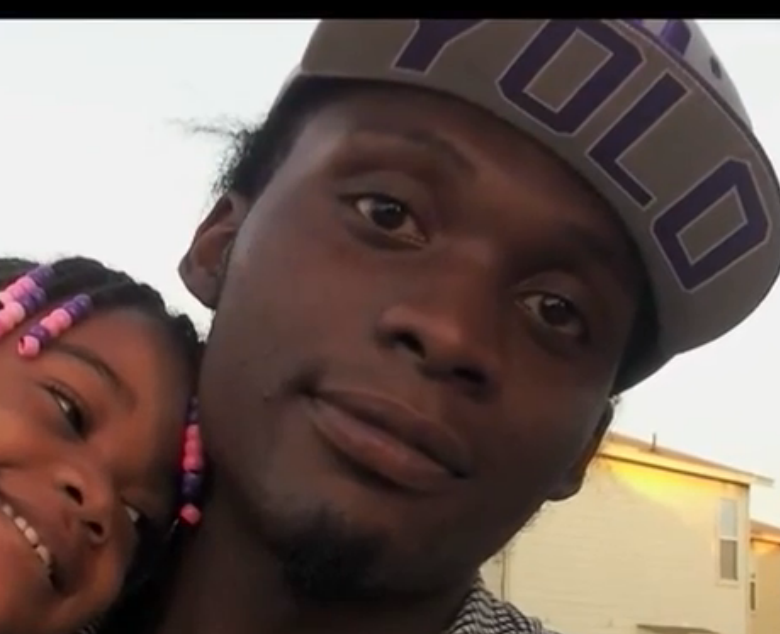 SAN ANTONIO — A 23-year-old father is dead after an off-duty cop gunned him down in front of his sister. The summary execution took place early Friday at the Chacho’s restaurant on Loop 410 and Perrin Beitel at about 1:30 a.m. San Antonio police chief William McManus told WOAI Channel 4 in San Antonio that one of his cops, Robert Encinas, was working security when a fender-bender happened in the drive-thru. If the tale San Antonio police are saying sounds unbelievable, its because it didn’t happen that way. Ms. Whitney Jones, Mauquise’s sister, said all she could do is sit in the back of the car, close her eyes and scream when the cop opened fire. She told several news outlets that her brother opened the car door with both hands and closed it with both hands, thus had no gun in either hand. A second or two after the door was closed, her brother was riddled with bullets. Mr. Blake Lamkin, Marquise’s father, said his son didn’t have a gun with him that morning. And even if he did have one in the car, Americans have the right (despite artificial laws inhibiting this natural right) to bear arms and protect themselves from government and other threats. Standard U.S. police state protocols are now being followed. The family is not being allowed to see Mr. Jones’ body so the state has time to manipulate it and produce a manufactured coroner’s report. Several state-run media outlets are talking about a “prior criminal history,” which in their eyes (and their followers) justifies the killer cop taking this young man’s life. The kangaroo investigation, regardless of which cop organization is doing it, should conclude in a week or so with the inevitable “justified” disposition. Mr. Jones eight-year-old daughter will now grow up without a father. Our thoughts are with the Jones family. I was going to somehow contact you through wikipedia to voice my support for this article, but I think that would have been ineffective. I want to compliment you both on your mastery of the English language, complete with biting irony and wit, and your almost-too-accurate assessment of the situation and its aftermath. I want justice for my cousins death and am willing to participate. Please contact me. SAPD Chief William McManus is named in TWO federal civil-rights lawsuits and in documents submitted to federal investigators for his active participation in a criminal conspiracy inside City/County government. Michael Cuellar agreed to remain silent and was paid $90,000 after he was banned by McManus and others from entering City Hall and public meetings in an effort to silence reports of public/police corruption. Former Telecommunications Manager John E Foddrill Sr. refuses to help hide the criminal activity underlying his 45 month illegal, unconstitutional ban so his lawsuit is being stalled by corrupt US District Judge Xavier Rodriguez, the corrupt law firm of Fitzpatrick & Kosanovich and corrupt attorney Joseph Hoelscher. Obama for America” campaign co-chairman / Mayor Julian Castro, Michael Bernard (brother of White House Social Secretary Jeremy Bernard) and SAPD Chief William McManus are named in documents submitted to US Attorney Yarbrough – New Mexico District, the SEC, the GSA, Admin Office of the US Courts and other federal agencies for their part in numerous criminal conspiracies under investigation by the Feds. Yarbrough’s investigation into Bexar County corruption will reveal that SAPD Chief McManus, Bernard and Mayor Julian Castro were willing participants in efforts to defraud our judicial system at the State and Federal levels in an effort to conceal years of corruption, bond fraud, grant fraud, theft of public funds, aggravated perjury, obstruction, Constitutional abuses, Open Meeting violations and many other crimes. US Attorney Yarbrough- New Mexico District, AACOG members outside of corrupt Bexar County and others have been provided with proof that the Alamo Area Council of Governments – AACOG – can’t be allowed to investigate themselves as members from San Antonio-Bexar County Tx are at the center of an ongoing criminal conspiracy to conceal the long-term theft and misuse of tens of millions of public dollars …including AACOG funds.